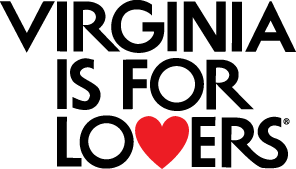 Beers & Ballads — Wolfbane Productions: a professional, nonprofit theatre and entertainment company serving the Greater Appomattox area. 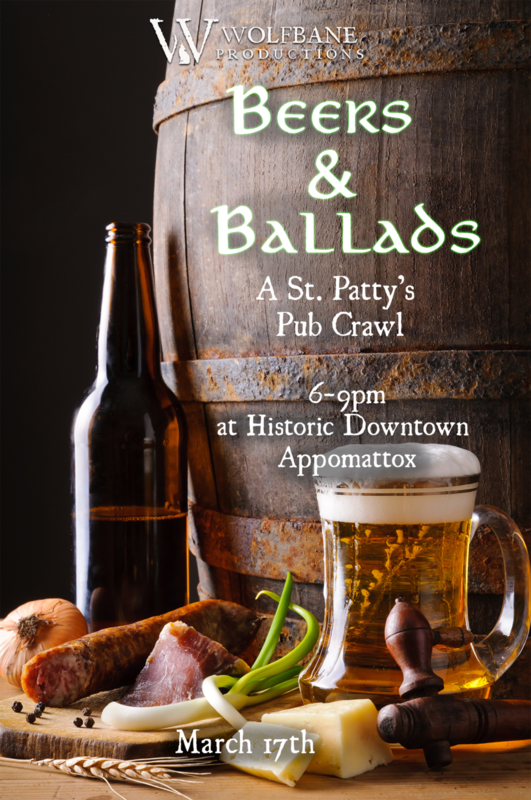 What better way to celebrate St. Patrick's Day than a pub crawl? Come enjoy local brews, live music, team trivia, and delicious eats as Wolfbane leads you on a night from venue to venue in Historic Downtown Appomattox. Your $60 ticket includes live entertainment, beer flights from Bold Rock Cider, Devils Backbone Brewing Company, and Third Street Brewing Company, a special gift from Chaos Mountain Brewery, and heavy hors d’oeuvres provided by Patsy’s Catering, Baines Books and Coffee, and Babcock House. Proceeds from the event will support the upcoming production of “The Hannah Reynolds Story” at Appomattox Court House National Historical Park on April 6 and 7, which chronicles the tragic last days of Hannah Reynolds, an enslaved woman who became the only civilian casualty in the Battle of Appomattox Court House. **All proceeds are used to support The Hannah Reynold Story.